As part of any project, design reviews are critical and form an important part of any project process and workflow, using BIM authoring tools within the Building design suite can help the reviews becomes far more interactive and not just “Review Paper Drawings”. 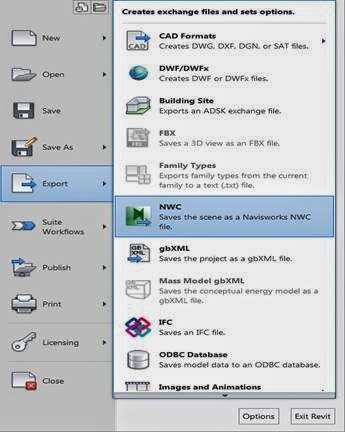 Exporting from Revit to Navisworks is a simple process using the Export option in Revit. Once exported open the Navisworks file along with the original Revit file on the Same Machine. 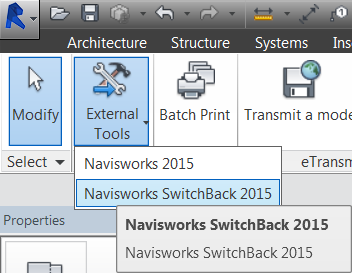 In the Add-Ins tab for Revit select the SwitchBack function. This triggers the SwitchBack function. Nothing seems to of happen until you go back Navisworks and select any object in the current view. In the Item tools tab select SwitchBack and notice in the Windows Taskbar the Revit Icon will be Flashing, open Revit and you’ll see the “Same view” in Revit and also Navisworks SwitchBack view added in to the Project Browser. 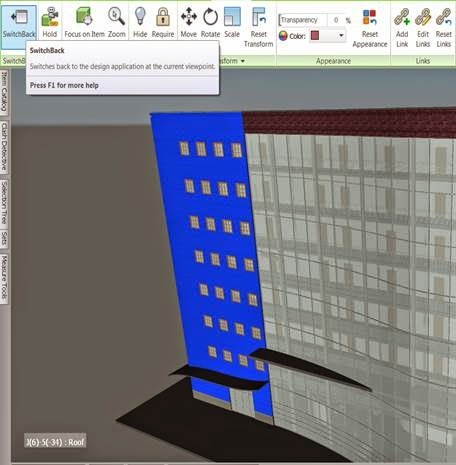 Using the powerful review/clash detective tools in Navisworks you can review the model and any changes needed or suggested can be applied back into the Revit model “live” as the review progress. You can then see what effect these changes have and if agreed they can be “kept” back in the Revit model without the need for masses of updates to drawings. This allows for a far better informed design review which captures the intent of the design.